Knit By God's Hand: Steven Curtis Chapman... here I come!!! So I had to stop in the middle of packing to wish you all a great weekend! Headed out with friends to shop at outlet malls on the way & then so excited that Women of Faith is FINALLY here!!! And yep - my mission.... I want to get my picture with Steven Curtis Chapman!!!! They come out to a booth at certain times for autographs & pictures... I'll go out an hour early if I have too! I just want to tell him how much he's meant to me over the YEARS..... & I mean YEARS!!!!! I am thrilled for you! Can't wait to hear all about it, and see lots of pictures! Hoping that you get to meet SCC! Have tons of fun! 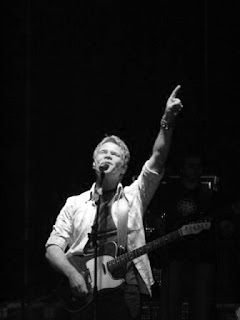 That would be so awesome to meet Steven Curtis Chapman...I love him and admire him so much! Hope you have an incredible weekend!!! 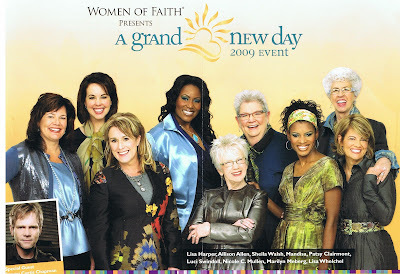 I went to Women of Faith a couple of years ago and loved it, I would love to go back sometime! I am not at all (well, just a little ... OK, A LOT) jealous! Oh have a good time! I'm sure you will come back with lots of stories to tell! Can hardly wait to hear how it was. I wanted to go so badly, It's been forever since they have come to Indy. I hope you get to meet him. Perhaps you can camp out all night like they do on Idol. Have a great time!! Rebecca- Have a BLAST at the conference! I also want to say that I am so impressed that you made your own laundry detergent! I am so scared to try to make my own, but I am desperate to save a few bucks and the fragrance that comes with the store brands is toxic haha. 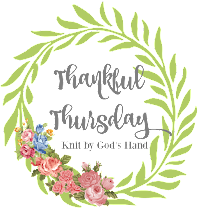 Yay for posting the directions, and maybe this coming week I will get the courage to try!